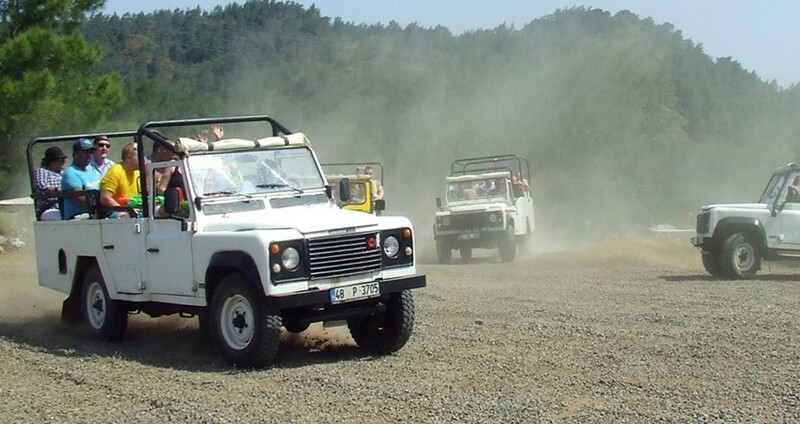 You can see the available dates for Marmaris Jeep Safari Tour. Please use the booking widget to make reservation. 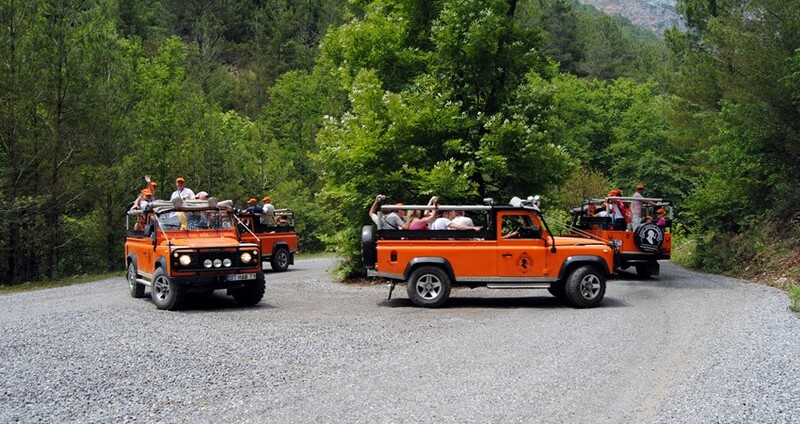 Our Marmaris Jeep Safari Tour gives you a great opportunity to explore the surrounding countryside and also get a close glimpse of the beautiful nature. 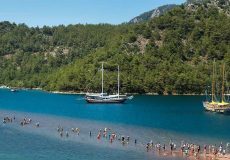 For those looking for a bit of adventure along with stunning views of the natural setting around Marmaris, this tour is a must! You will have real fun as the open jeeps move over the beaten muddy tracks and cut through streams of water among the pine clad highlands. Our comfortable jeeps are in good condition and regularly maintained. 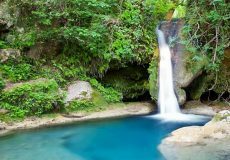 Every member of the family can part on this appealing trip among the serene atmosphere on a mountain just above the town. 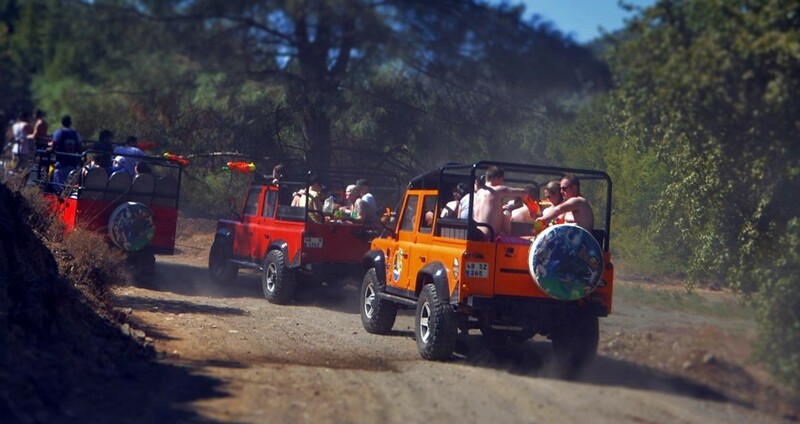 Guests of all ages can participate in our interesting Marmaris Jeep Safari. Youth, children, and senior citizens are all welcome to this engaging journey. 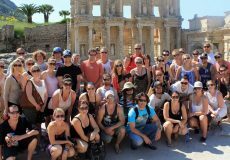 The actual tour site is just a few kilometres away from Marmaris. Our well-kept jeeps, around 5 to 10 all line up one after another and form a convoy. This is not a racing day, but we move in an orderly fashion at safe speeds (within 50 Km/h) over the beaten muddy tracks among the mountainous terrain. 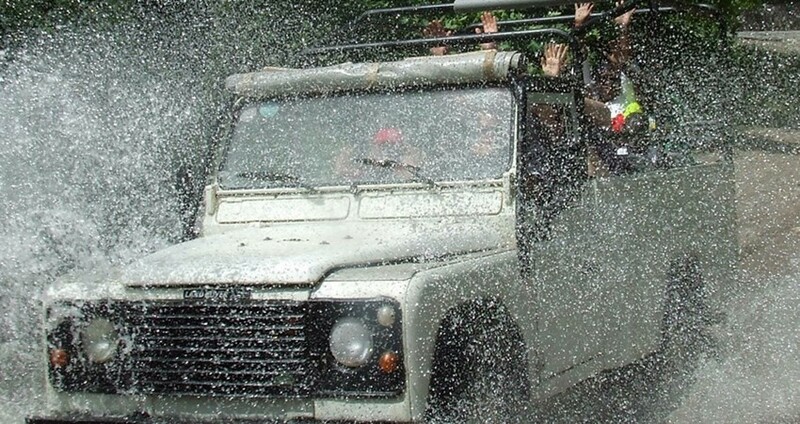 The course of our jeep safari includes the pine forests, off road area, waterfall, muddy tracks, jesus beache and everything that our jeeps can move upon! You will love the splendid scenery as our experienced drivers take you high over the mountainous tracks. Don’t forget to take photographs of this unforgetable day. 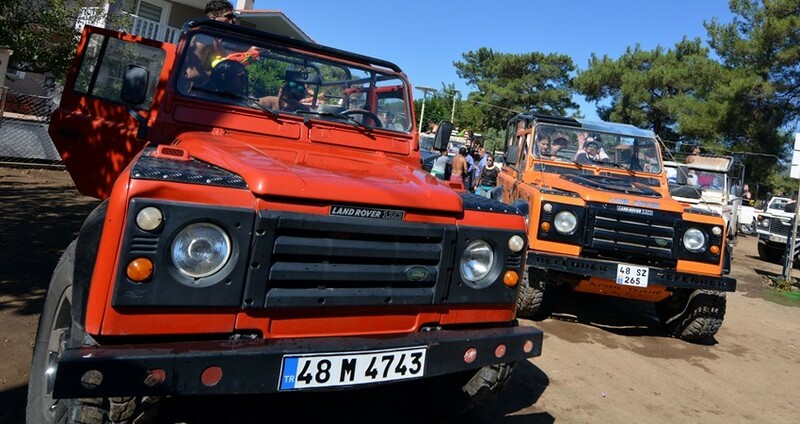 During our Marmaris Jeep Safari Tour, we visit one of the nearby villages and provide delicious lunch, cooked and served by the locals. The special BBQ lunch on our jeep safari trip has an authentic local flavour; and we are sure you will like this food and remember the taste for long! After the lunch break, our journey continues among the country side of Marmaris and there is lot more to see. The jeep safari beats the road yet again and move over a blend of roads ranging from muddy, dusty and asphalt. Open Buffet Lunch, Guiding Service (English Speaking), Free Hotel Transfer, Full Insurance, All Entrance Fees. 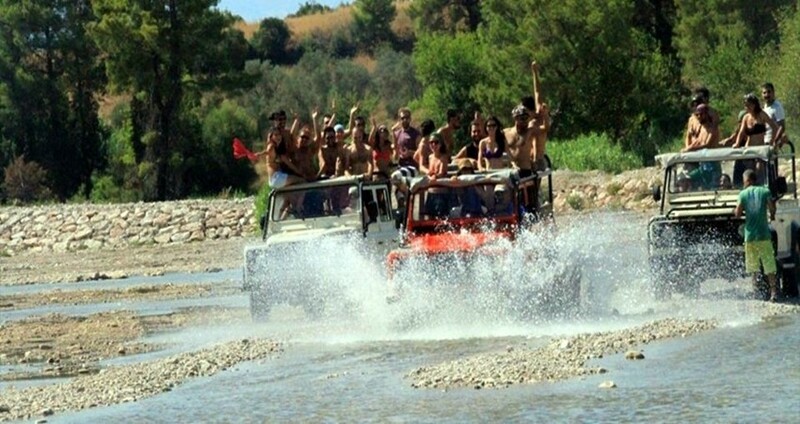 Marmaris Jeep Safari Tour is a day for everybody from 7 to 77. 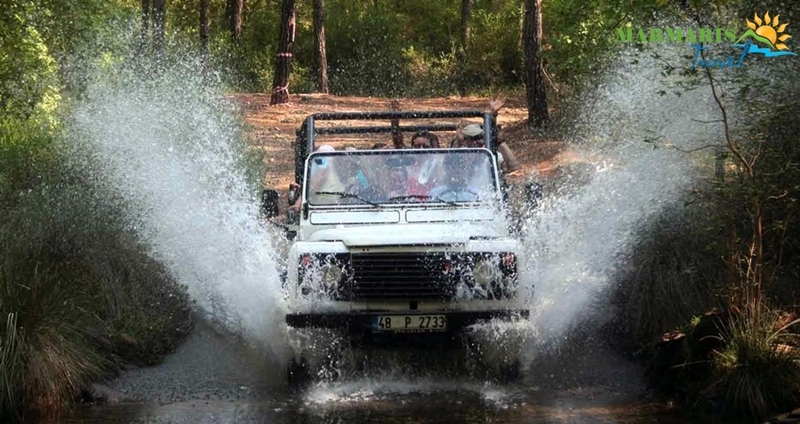 Enjoy a great day out around the countryside of Marmaris with our Land Rover 4*4 jeeps. One of the best day out during our holiday in Marmaris this summer, getting soaked with water guns, to swim in the waterfall. You see some beautiful scenery out in the country side when out on the jeeps. Lunch was very good then off to Jesus island to walk in the ans relax. Great day !!! 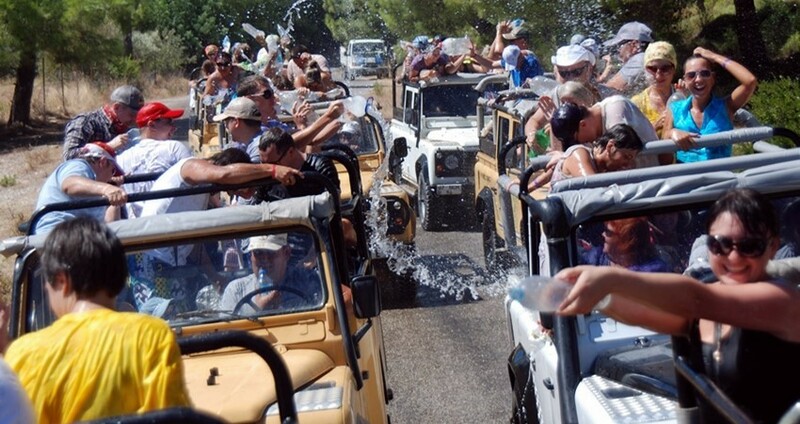 There no animals on this safari tour but the water fight can bring out some competitivenessIt was the best fun ever! They stop off for waterfall which is really good and Jesus Beech was cool too. Note of warning if you do decide to go on this trip bring a towel, perhaps a spare tshirt. if you have phone with you, it is worth while bring a plastic seal-able bag to protect it from the water! 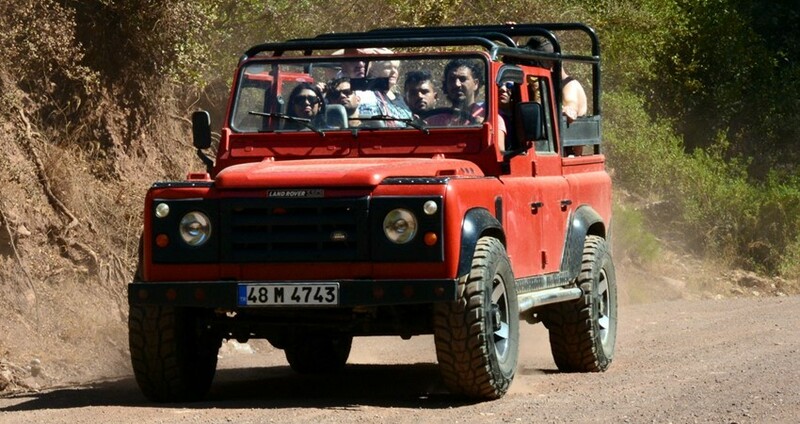 Did the jeep safari tour in Marmaris & it was excellent. Really couldn't ask for more, highly recommend. We were able to change our booking on the day as it was wet, brilliant customer service! 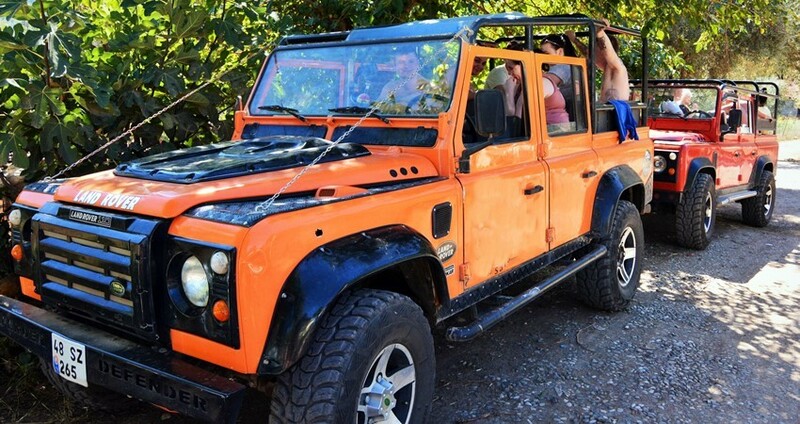 The drivers were very good and friendly during our jeep safari tour. The country side so green and if you have kids they will really enjoy the day with their water guns. I really enjoyed the view of the waterfall, wish we could have stayed for a bit longer time there so that I could take more pictures! The food was also served which was very delicious, I recommend them for jeep safari! 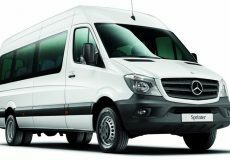 Do you need a driving licence for this tour ? Are there any seat belts on the jeeps? Yes, we have seat belts for every passenger. Should i take my camera with me ? Yes, its a good idea to take some nice pictures during the tour. But don't forget to protect them from water and dust. 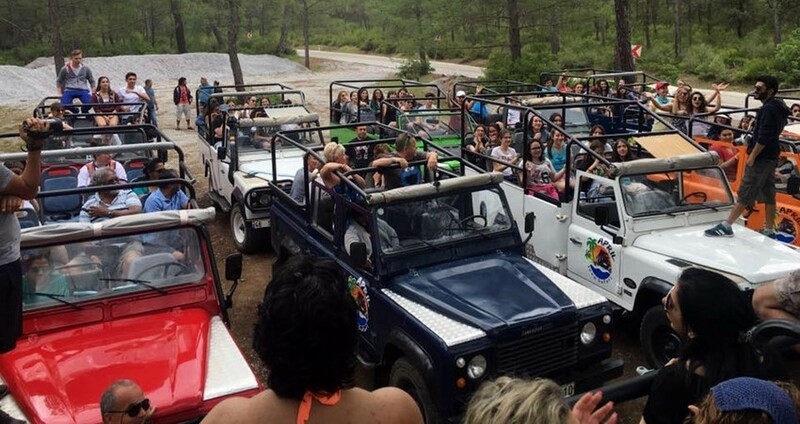 Just before we begin with our Marmaris Jeep Safari, we pick our guests from their hotels in our comfortable jeeps and then move to the meeting area. In a place on the highlands just above the town, we regroup before beginning with our safari. After a short drive of 15 minutes, we arrive to a small field on a mountain in the out skirts of Marmaris. 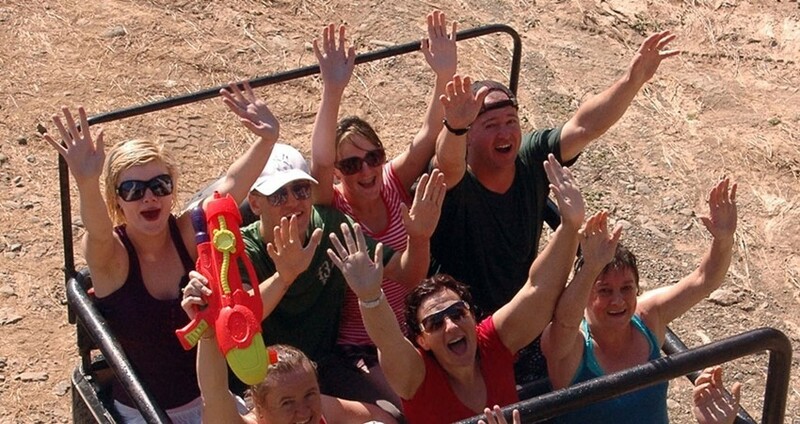 Before moving along, we advise our guests to get water guns available on rent. You will need them for a good use at the end of our journey. The safari is scheduled mostly in a hilly area with dirt, mud and water all around. During the next few hours, we drive off-road on muddy tracks and get really wet and dusty. It’s time to make use of the water guns here. Fill your guns with water and clean your dirt by firing bursts of water at each other. After an hour of adventurous off-road journey, we arrive to the place where we take a comfort break. This place has a small swimming pool, showers, a cafeteria and toilets. This serves as an ideal place to take some rest and refreshment in between. Just outside a local village, we visit the waterfall and spend an hour there. You can swim in the waterfall, but don’t forget that this water is very cold even during the midsummer! After hours of adventurous traveling and playing in waters, it’s time to take a lunch break. The main course is chicken along with some tasty and authentic local Turkish food. Omelet can be arranged for the vegetarians. The starters and salads are served as open buffet. Drinks are also available, but they are not included in the tour price. This is a special place at Hisarönü near Marmaris. At this beautiful beach people can walk on an elevated seabed right in the middle of the sea. It is a truly amazing place to visit. At this place we spend an hour where you can swim and get relaxed. At the end of the tour, we drive back home and drop our guests to their hotels at around 16:30 in the evening. There are no age restrictions for guests to participate in this tour. Enjoy this wholesome family trip with your kids and elders as well. 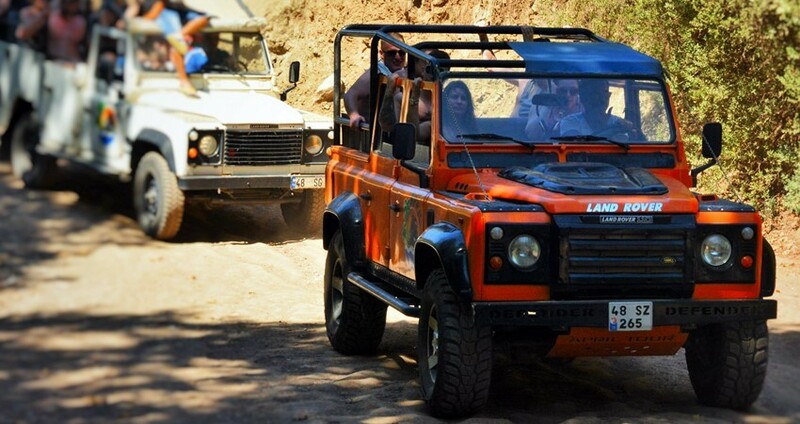 Some of the important facts and useful information about " Marmaris Jeep Safari Tour "